Permit to be demoted from Grand Slam pedestal. Well, the IGFA looks set to demote Permit from its Grand Slam place of preeminence. Impending rule changes would put permit along side any fish from the Jack family. 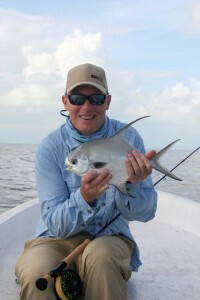 Permit would still count, but so would a Horse Eyed Jack, Jack Crevalle, Bluefin Trevally or a Lookdown. This certainly is going to change the record books. The rule looks set to take effect on April 1st 2017. This entry was posted on Saturday, April 1st, 2017 at 8:56 am	and is filed under All the other stuff. You can follow any comments to this entry through the RSS 2.0 feed. You can leave a comment, or trackback from your own site. Haha. Solid April fools prank. I swear, that entire quote, minus jack talk, has come out of my mouth several times. Permit ARE assholes.